Kirstine has extensive experience in Human Resources and over 15 years in the hospitality sector. She was appointed Group Human Resources Manager of Amaris Hospitality in December 2017 focusing on providing strategic oversight and support across the group for Human Resources and Learning & Development. 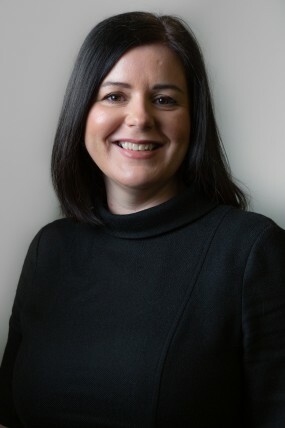 She was part of the team that worked on establishing Amaris Hospitality in 2015 where in her role as Cluster Human Resources Manager she delivered large scale organizational reform across a number of hotels including the DoubleTree by Hilton Glasgow Central and the iconic Hilton Edinburgh Carlton. Kirstine has also played a key role in project managing various new HR systems and processes whilst supporting and nurturing a culture of engagement, development and succession from within. Having started her career in hospitality with Jurys Inn in 2002, Kirstine later joined glh and held a number of HR, Regional and HR Business Partner roles within its Thistle branded hotels. Kirstine was promoted to the role of Head of Human Resources for Amaris Hospitality in 2018.